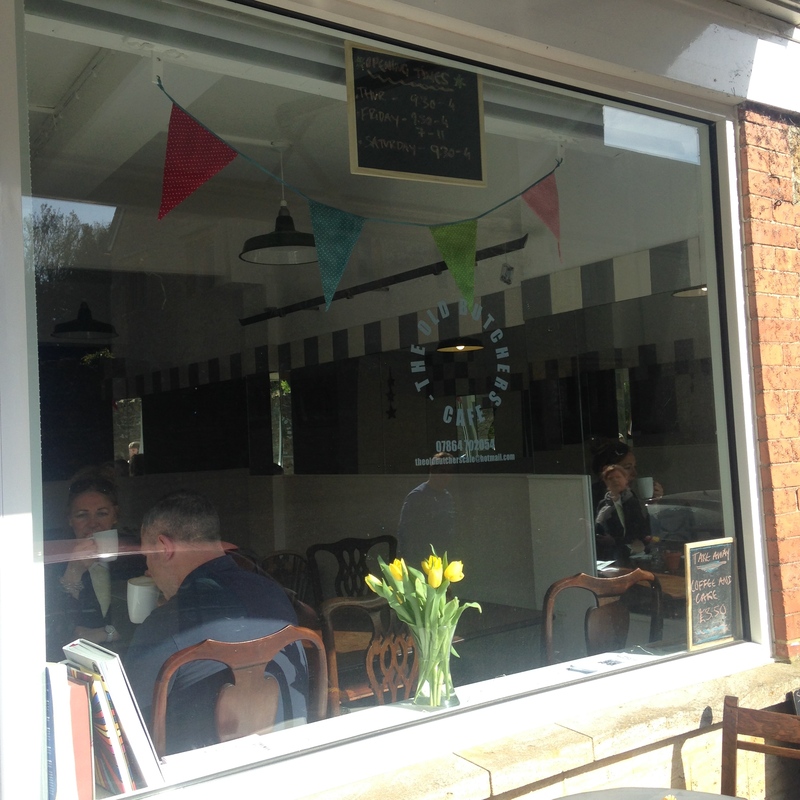 I was recently told that about this restaurant by family, hidden away in small village Shepton Beauchamp, The Old Butcher’s Cafe serves lunches and a Friday night supper club that has proven extremely popular. The venue is small but set out in a lovely way, with the kitchen open for all to see whats going on. The lady who runs the kitchen is lovely and made everyone feel very welcome, including lots of young children and dogs too! 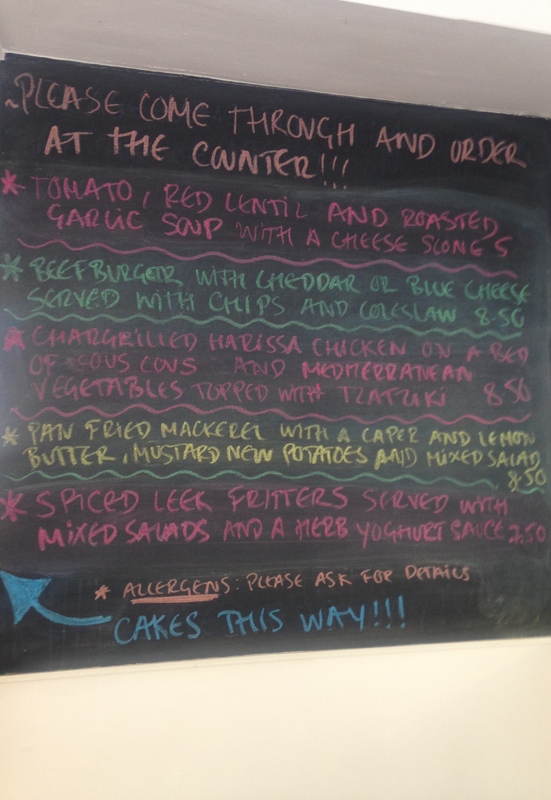 The menu includes both vegetarian and meat options, I went for the spiced leek fritters served mixed salads and yoghurt followed by a chocolate brownie. The fritters were really delicious, served with pomegranate seeds that complimented the whole dish. I loved the unfussy food, really tasty and in generous portions that are thoughtfully put together. 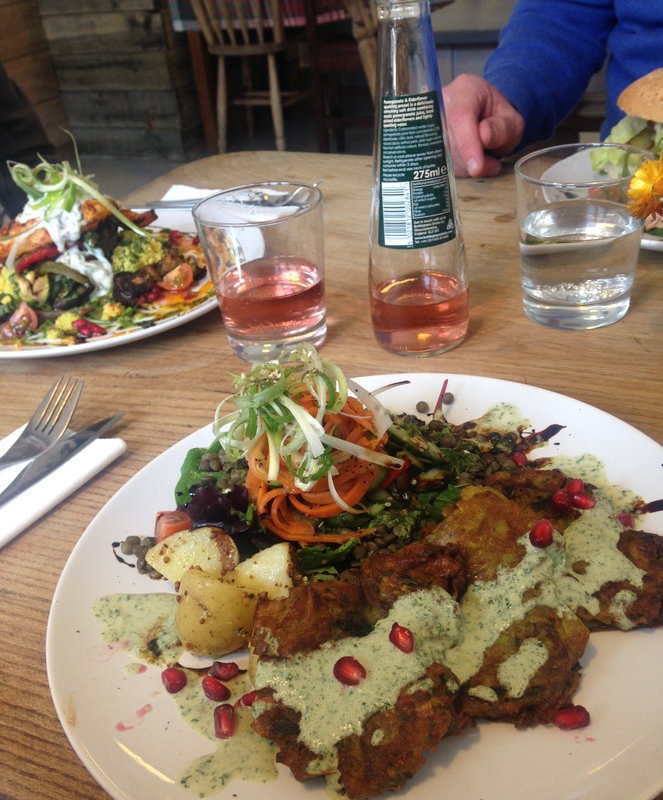 I also really enjoyed the salads, each went well with the fritters and were covered in delicious dressings. It’s safe to say our meals were finished very quickly! There are a selection of cakes available on the counter, as we had our lunch quite late in the afternoon most customers coming in were choosing from this selection alongside coffee. 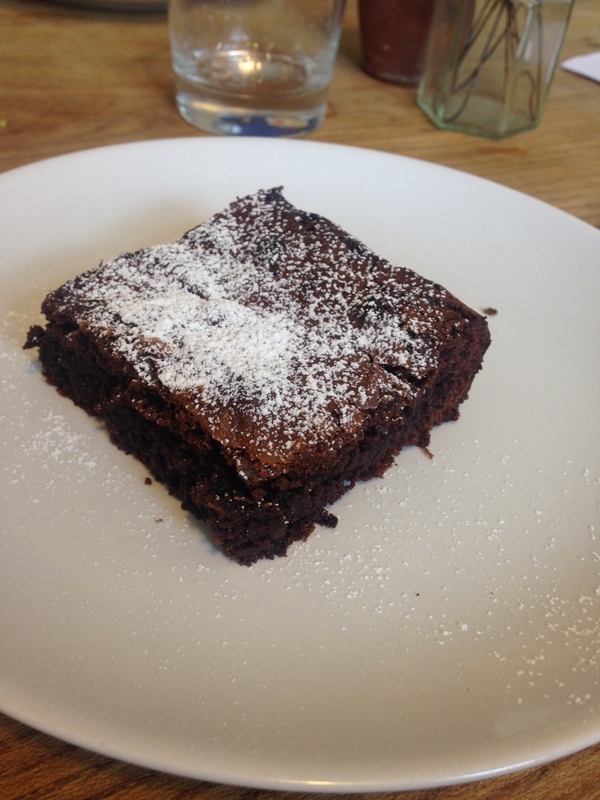 My brownie was served warm and had a chewy top with gooey inside, a perfect brownie! 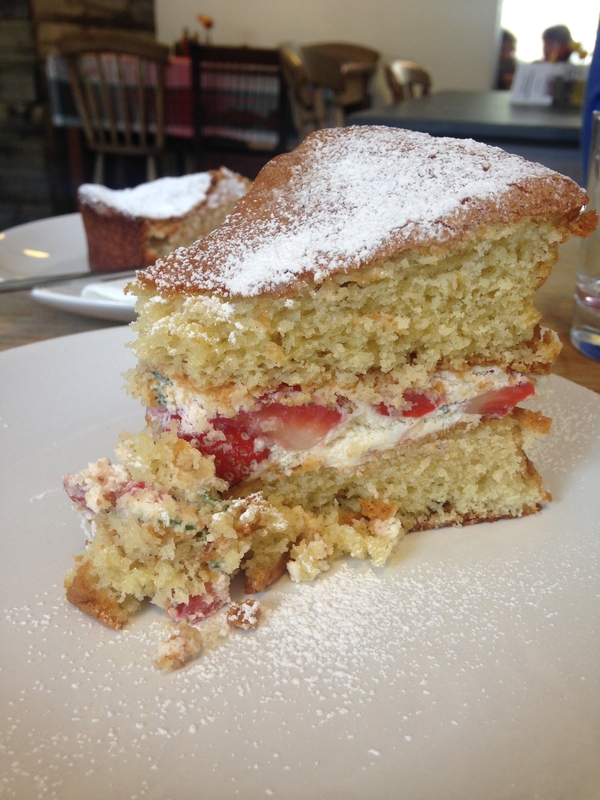 We also chose the strawberry and mint sponge cake with fresh cream, and the Spanish almond cake. All were really good, so I’d recommend popping in for even just tea and cake! I’d love to go again and try their Friday night supper club, three courses including coffee or tea for £22.50. Knowing the quality of the food, I would say this is definitely a brilliant price. I would fully recommend giving this place a try if you’re in Somerset, something hidden away and wonderful if you love amazing, home cooked and creative food!